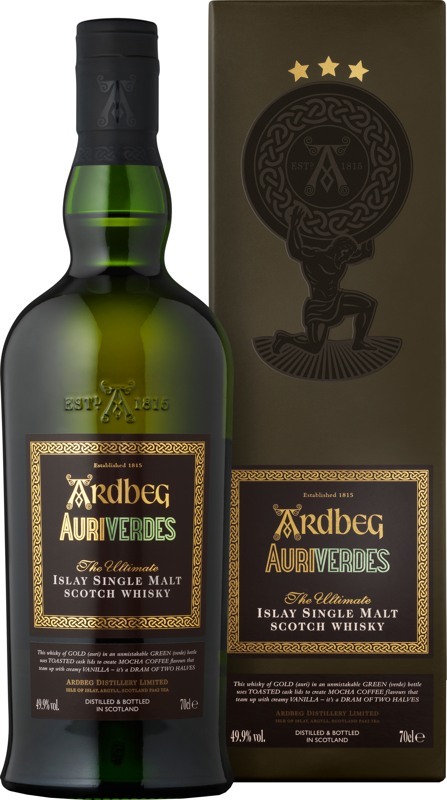 Is 12 months enough time to let the hype of an Ardbeg Day release subside? Hard to say, given the social media fever pitch (football pun intended) flying around whenever the distillery at the end of the Kildalton road sends forth a new shimmering green emissary into the foamy-mouthed, wild-eyed, peat-worshipping pandemonium. With the spotlight firmly on the two slightly different Perpetuum releases, I felt it was time I really got to grips with last year’s Auriverdes, the world-cup bottling in honour of Brazil’s flag “Auriverdes”. By all accounts, consensus from those who shout loudest is that this is a bit of a flop. Someone described it to me as being more a Schmeichel than a Gascoigne*. I’m not sure I’d agree there but it’s fair to say it’s atypical of Ardbeg bottlings, with the peat-junkies getting all rattly and agitated like Mark Renton after a disappointing miniature paper cup of methadone. Nose: Very medical. Savlon cream and bandages. Lemon juice with cracked black pepper. Crispy smoked bacon fat. Vanilla pods in dark honey with a synthetic peach aroma. Thick black liquorice sticks. Palate: Briny, but fruity. Smoky pineapple and grapefruit juice with peaty vanilla ice cream, cinnamon wafers, and a thick, oily espresso foam. Thinner and lighter than expected but still mouth-coating. Finish: Long and dry, quite woody with ashy smoke. At the very end, a waxy/fruity/jelly sweet residue coats a medicinal, iodine-rich aftertaste. Very interesting, this one. And very comforting to drink. I’d describe it as lightly peated (by Ardbeg standards). It has a lot in common with Caol Ila, though it retains an oily, tarry Ardbeg signature rather than the light and delicate Caol Ila zing. In all honesty, I really like it. I’ve had a bottle open a few days now, and wasn’t sure at first, but it’s growing on me more every time I take a sip. The lack of punchy peat smoke really lets out the fruity side. All in all, then, this is a winner. Maybe not what the peat-freaks wanted, but it’s a very drinkable and interesting dram all the same. I can see this going down well with a big salty slab of Brazilian beef steak. After selling out last year, Ardbeg have made some more of this available on the Ardbeg shop for £79.99. * That’s to say, a keeper not a drinker.